The flies for fishing on tropical shallows imitate shrimp, crabs, and small fish. For clear water it is very important to match the color of the bottom – the cautious fish is often refusing «wrong» flis. 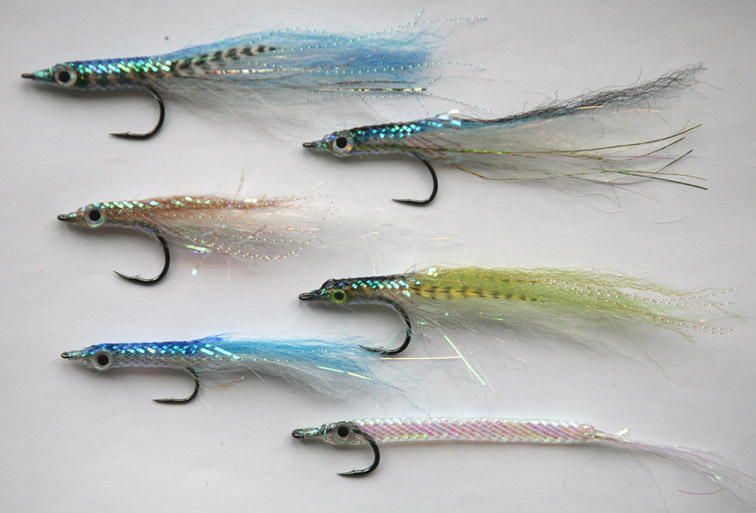 The brighter flies I use in murky water; the streamers of contrasting colors are designed for night fishing.